An office that relies on active printing, copying, scanning, and faxing is one that can lose so much productivity and efficiency if one thing goes wrong with a multi-function printer. The need to stop printing while a fix is done occurs in every office. But by being proactive, it won’t happen as often. 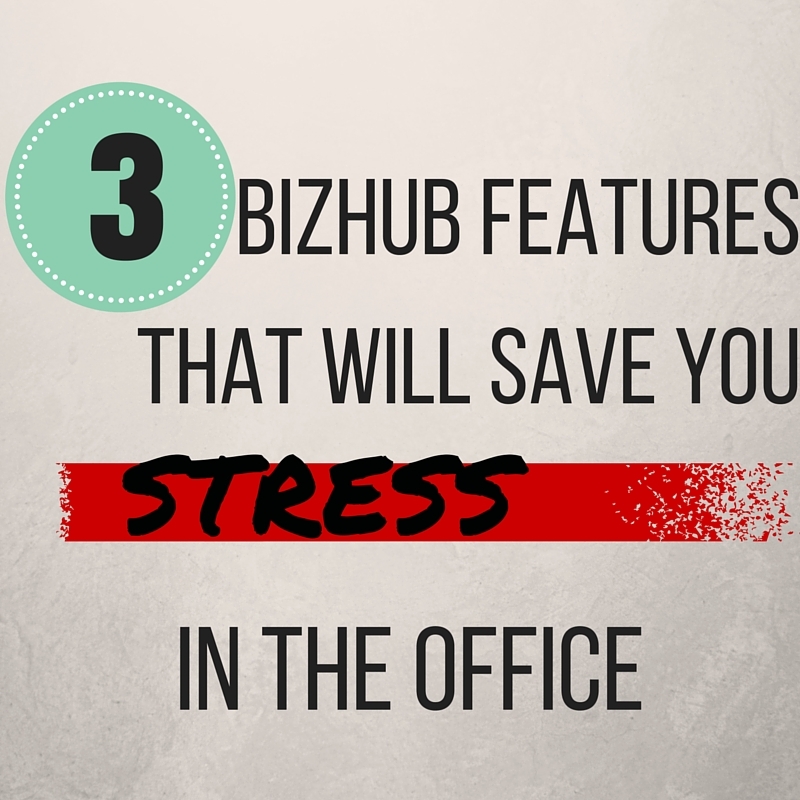 BizHub has several features that can help you reduce or remove these common issues that can create a seriously stressful work environment. Imagine having your authorized Konica Minolta business partner come by the office every day to check on the machine, your toner and supply levels, and fixing anything that might need adjusting. With vCare, you can get service this quickly but without the need for someone coming by your office daily. vCare connects your MFP to your Konica Minolta business partner. They automatically will get notified when you are running low on toner or running out of paper, and they will see if there are any proactive services needed to maintain performance. This feature can help ensure that you never have to deal with unexpected shortages, and no one in the office will have to stress about the responsibility of keeping the printer running. You’ll have the help you need when you need it. If you have an office manager who likes to — or needs to — take care of the above issues mentioned with vCare, then PageScope Web Connection can make his or her job much easier as well. Much like vCare, PageScope connects your office’s BizHub printer or copier to those who need to see it, through a web server. This server gives all of the important information, from supply levels to connected users and other settings. You can even use it to edit other settings like scanning destinations and page settings. If you want to improve the overall ease of use of your Konica Minolta MFP, Pharos Print Management can help by create a more seamless and efficient print environment for the entire office. It also has document management that will help the office be more environmentally friendly and save you money. This entry was posted in Uncategorized on February 23, 2016 by riehlt. 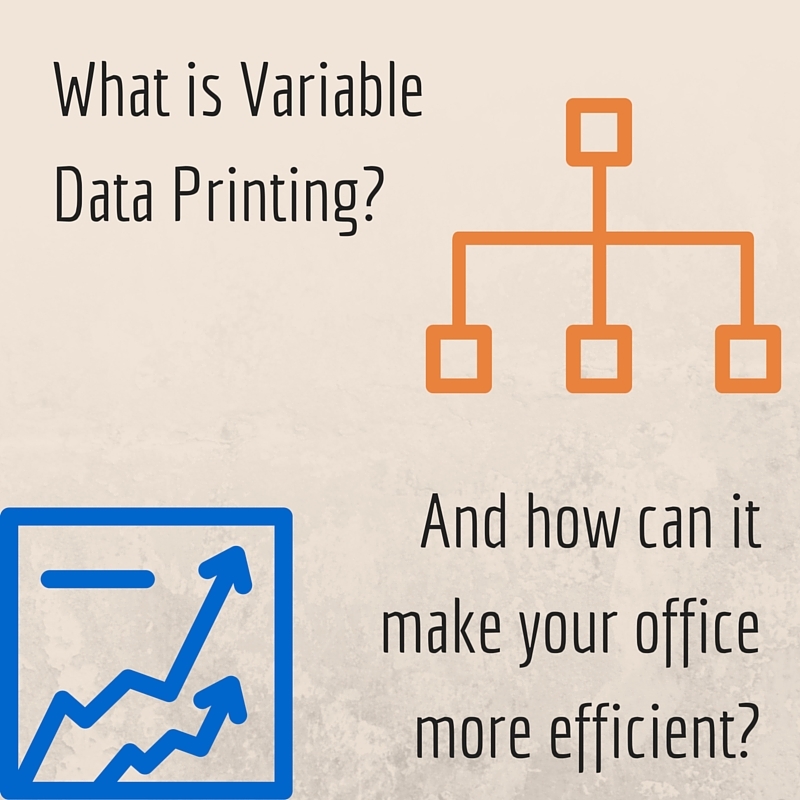 What is Variable Data Printing and How Can It Make Your Office More Efficient? There are countless businesses and offices working in marketing, government, customer relations, and more that are constantly printing a variety of documents that are nearly identical, aside from some important identifying information. But what if you could make your documents more personalized to every customer or client, without having to waste countless hours changing every single document individually? Variable data printing, or VDP, can help you do just that without wasting any more time or money. What exactly is Variable Data Printing? To put it simply, Variable Data Printing is an incredibly powerful and versatile mail merge. Except with a mail merge, all you can change on documents that you are printing is directory information like the name and address. But with VDP, you can change just about any element on a document from one copy to another. You have the option to edit the pictures, borders, text, pricing, and much more. And with a high tech multi-functioning printer like the ones from Konica Minolta, you can do many of these changes straight from the printer itself. After reading what variable data printing does, you probably have already thought of many ways that your office can use VDP for improving your office’s production. If you print invoices or receipts, you can easily print using the same layout and have VDP take care of the individual documents. And if you want to give more personalization to your advertisements or any other documents you produce, VDP gives you the ability to give your customers or clients a unique, personalized document that they will appreciate. You can edit basically any element of a document. For instance, if you wanted to send certain information and pictures on an advertisement to families and different information to college students or other demographics, you can do that. If you’re interested in making your office more efficient with the benefits of variable data printing, you can get the help you need to get the necessary hardware, software, and customer support from Caltronics Business Systems. This entry was posted in Uncategorized on February 11, 2016 by riehlt.